We are often asked by users why they should use WordPress instead of other free blogging services like Blogger, Ghost, Tumblr, etc? Medium is a fast growing free blogging platform that allows anyone to create stories and have their own personal space on the web. In this article, we will compare WordPress vs Medium with the pros and cons of each platforms. 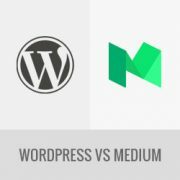 Important: Please note that this comparison is between self-hosted WordPress.org sites and Medium, not WordPress.com vs Medium. Please see our guide on the difference between self-hosted WordPress.org vs WordPress.com. Medium is a free online community where anyone can share their stories. It is easy to use, reliable, and has built-in social networking features. However, you do not own Medium. It is owned by ‘A Medium Corporation’, and they can decide to shut it down, announce new pricing plans, or cancel your account at anytime. On the other hand, WordPress allows you to own your own content. Since you host your own website, you have full control over your data and who you share it with. When you are using Medium, you are promoting their brand along with your stories. You don’t get paid for that. If you are not a famous author, chances are that Medium users would remember reading a story on Medium without even remembering your name. Medium is also a network which means content from other authors often get displayed as next stories below your own story. Taking your users away to read articles by other brands and authors. On WordPress, you have full control on how you want to promote your brand. As your site grows in popularity, you alone decide how to capitalize on your content and brand recognition. Your content and ideas are recognized by your name alone. Since you have full control of your WordPress site, you can do a lot more to increase the time users spend on your site. Medium allows you to choose a layout for your publication. You add your own logo, background color, or image to the header. For layout you can choose grid or stream based layout. This drag and drop editor is very easy to use and offers multiple customization options. However, still your publications appearance is limited to the choices available in Medium. You cannot choose your own design and layout for your website. 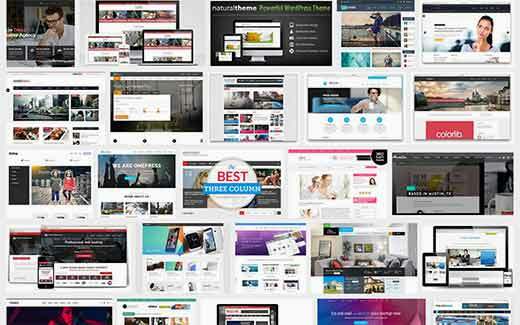 On the other hand, there are thousands of free and paid WordPress themes available. These themes are designed by professionals with innovative designs and unlimited customization options. WordPress gives you the flexibility to build a site that looks uniquely yours. If you can spend a little more, then you can hire designers and developers to create any kind of website imaginable. Medium allows you to export your data in HTML format. This makes it difficult to export your data into other platforms like WordPress. Responses and likes on your articles cannot be exported. Setting up redirects from Medium to WordPress is nearly impossible. Even if you are using a custom domain on Medium, you will still have to manually setup a redirect for each story on your new platform. 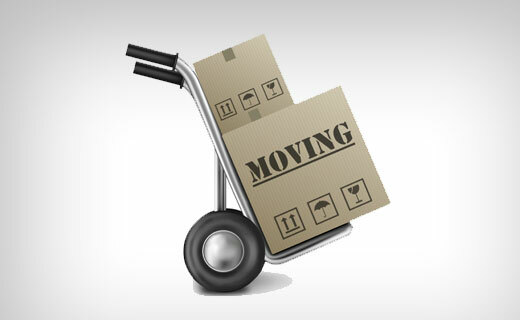 As an open source platform, WordPress gives you freedom to move all your content. You can import/export your data from WordPress using importer plugins. You can also import/export users and comments. WordPress also comes with amazing backup plugins that allow you to restore and migrate your site to a new host or even a new domain name. Medium comes with extensive documentation and a ticket based support system. Currently, support is free for all users. Answers are provided by Medium staff and their response time depends on the number of support requests they have in pending. Apart from that, you will find WordPress support on countless third-party platforms like StackExchange, YouTube, SitePoint, etc. 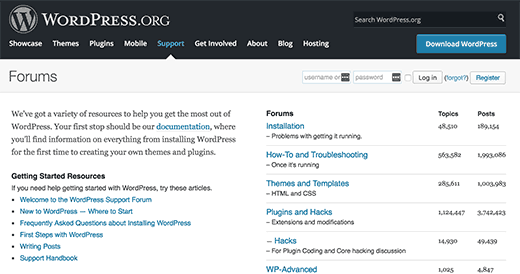 See our guide on how to properly ask for WordPress support and get it. WPBeginner itself is the largest WordPress resource site for beginners. We have hundreds of how-tos, tutorials, videos, and step by step guides to create any kind of website with WordPress. See our guide on how to make the most out of free WPBeginner resources. Medium is a fully hosted platform, which means you don’t need to worry about the software. Your content is served by highly secure Medium servers. Your private information is kept secure using the industry standard security measures. WordPress is a self hosted platform. This means that you are responsible for safety and security of your website. WordPress is well-known for its quick response to security issues with immediate updates that are automatically installed on millions of WordPress sites. At WPBeginner, we use Sucuri to protect our site against malicious attacks. Take a look at how Sucuri helped us block 450,000 of attacks in 3 months. Medium is a private company owned by ‘A Medium Corporation’. Currently, the company has limited monetization options offered by partnerships with select brands for fewer publishers. We don’t know for sure what the future holds for Medium. It can survive and make money, or it may disappear like dozens of other free content hosting services before it. WordPress is an open source project, managed by a community of thousands of independent developers and users. 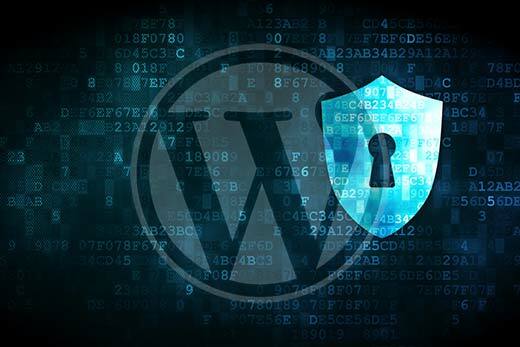 WordPress Foundation protects the legal freedoms of WordPress which ensures that the project will continue even if core developers leave the project. It has been around for more than 13 years and has grown into the largest content management system in the world. It is safe to say that WordPress is going to be around for years to come. For more details, see our guide on who owns WordPress and how does WordPress make money? Ready to get started with WordPress? Follow our step by step guide on how to start a WordPress blog. 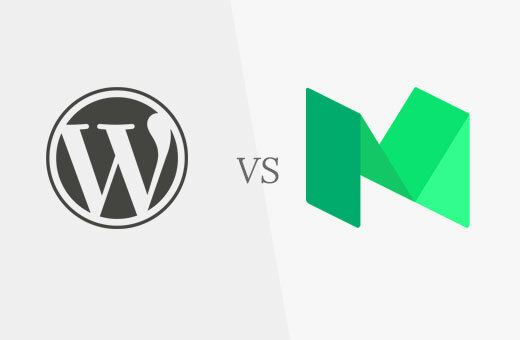 We hope this article helped you compare the pros and cons of WordPress vs Medium. You may also want to see our guides on the most common misconceptions about WordPress and Why is WordPress free? Perhaps you could also help me to understand why seasoned writers like Jeff Goins would use Medium as well as their personal website blogs, often to post the same articles. I’m puzzled about this. Well, much of all said here was convincing but the article was definitely biased. Should’ve done a more professional approach in differentiating them. WordPress may not have many Cons, but Medium does have a lot of Pros. Plus it’s new (and gorgeous), may be it will take over the rest? May be not. Hm. Thank you for this awesome post. I was wondering where is the 7th step? Thank you for notifying us We have fixed it. It’s a no brainer, if you want to leverage YOUR brand it must be on your own piece of interweb. Full control means full flexibility. WordPress is what I’d recommend for most solopreneurs wanting to carve a piece of the pie, be it for hobby or business. Medium is a ‘nice looking’ platform, but what’s the USP? I guess to me Medium is nothing new. I tried it out and I can’t figure out what all the buzz is about. Plus, they are paying big brands to use their platform to make them seem more successful. We will always recommend WordPress due to the wide spectrum of possibilities with formating text, pictures, and simple usage. Worst case scenario, if Medium falls down, there will be a Syed to create a migration plugin from Medium to WP. Problem solved. Get 30% OFF on LiveChat, one of the best live chat service providers for WordPress users.